RTS Selects Justride, the Revolutionary Software-as-a-Service (SaaS) Platform That Delivers Mobile-Centric and Account-Based Full Fare Collection to Agencies of All Sizes. 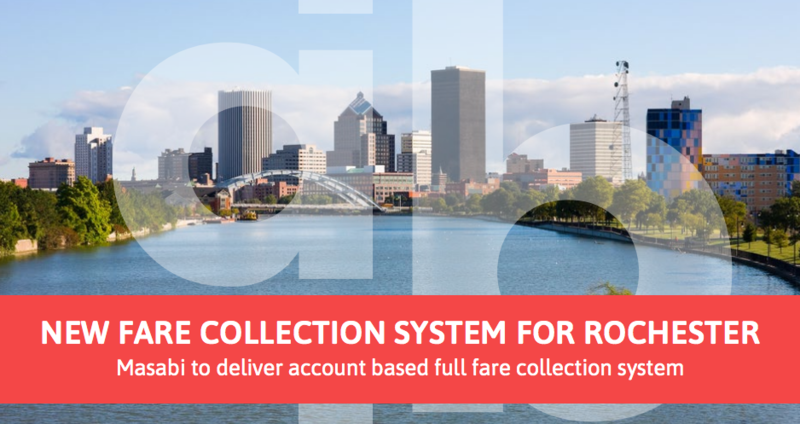 Rochester, New York, October 24, 2018 -- Masabi, the company bringing Software-as-a-Service ticketing and payments to public transport, today announced that it has been selected by the Regional Transit Service (RTS) in Rochester, NY, to deliver its next generation fare collection system utilizing Justride, the innovative Account-Based Full Fare Collection System. 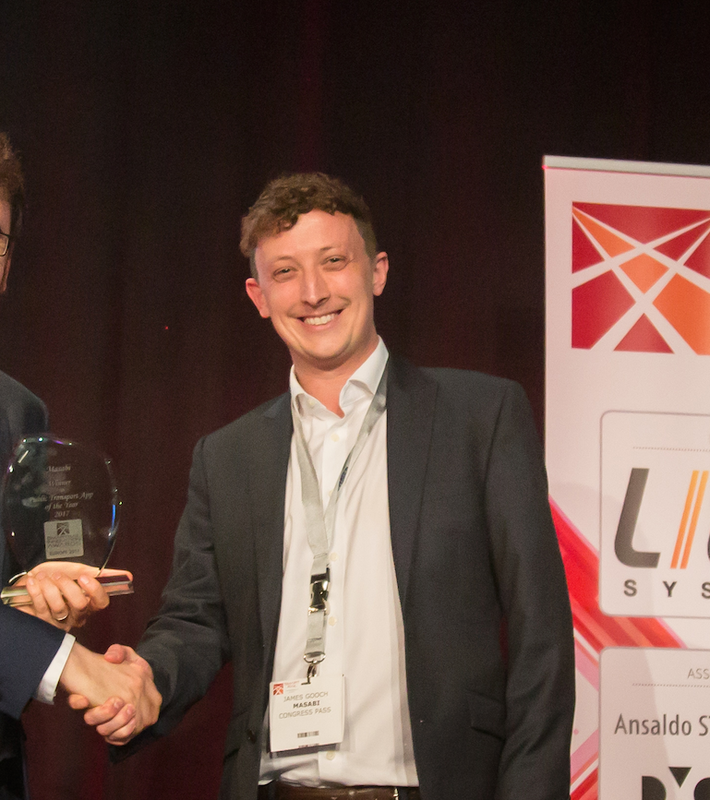 The next generation ticketing platform will help revolutionize the passenger experience by allowing riders to control a single mobility account and ride across the RTS system seamlessly, tapping their mobile phones, smartcards, student IDs, or printed barcodes to travel. The platform will be integrated into the existing RTS “Where’s My Bus?” App using the Justride SDK so riders can plan their journeys, pay their fares, and connect to new modes of transit, all from a single interface that they already know and love. The platform will include mobile ticketing and stored value wallets embedded within the existing RTS “Where’s My Bus?” App, as well as agency branded smartcards, all tied together by seamless mobile and web-based account management. Justride will replace a significant portion of existing fare media, which will help reduce the total cost of fare collection for RTS, allowing the agency to continue to build on its reputation for innovation and service excellence. Riders will be able to pre-purchase passes on their phones, or add money to their stored value account and simply tap their mobile app or smartcard on the farebox when boarding the bus. The latter will allow customers to ride the RTS system without having to select their fare in advance. Instead, Justride automatically calculates and deducts the correct fare from riders’ accounts, applying best-fare policies where appropriate. Importantly, the system will also allow those without smartphones and bank accounts to purchase fares conveniently using Ticket Vending Machines (TVMs), supplying printed barcodes or smartcards. As part of the deployment onboard, Masabi fare validators will be installed across the entire RTS bus fleet in Monroe County. These validators are designed to read 2D barcode, printed or displayed on screen, NFC, smartcards and will offer an upgrade path to contactless EMV bank cards. "This new technology will significantly simplify and improve the bus pass experience for our customers, allowing them to simply tap their phones or smartcards on the farebox and enjoy the ride," said RTS CEO Bill Carpenter. "As we reimagine our public transit system, we are excited to deploy the next evolution of Masabi's Justride platform to better serve our customers and integrate new and emerging modes of transit in the coming years." For more information about Masabi and its Software-as-a-Service (SaaS) ticketing platform, please click here.